AFMO will first loan the collection for a 5 years period, and ultimately, give full ownership to the museum. 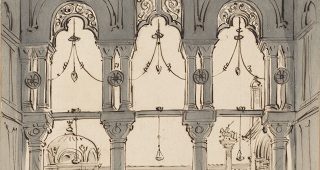 Neil Levine is one of the world’s leading architectural historians. 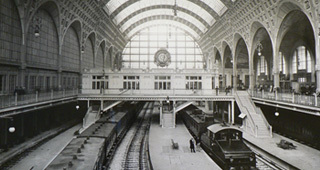 While living in Paris as a student Mr. Levine purchased many original architectural drawings by early French architects, drawings which Alice Thomine, Curator of Architecture at the musée d’Orsay, has studied and used in exhibitions. In 2012, Bernard Duhaime, Corporate Treasurer of the American Friends of the Musée d’Orsay, made a gift to AFMO of a book, Fables of La Fontaine, illustrated by 19th century French artist Gustave Doré. Doré created 100 paintings and a few sculptures a few of which are in the Orsay collection, but he is most known for his production of over 200 illustrated books. Gustave Doré (1832-1883) is one of the luminaries of French nineteenth-century illustration. 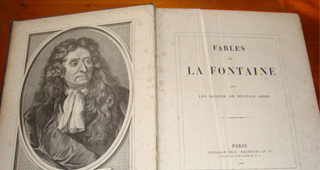 The book, destined for the Orsay library, is a first edition of Fables of La Fontaine, illustrated by Doré, and published by Hachette et Cie, Paris, in 1868. It is an example one of the artist’s volumes published at mid-century, as part of a series dedicated to illustrating the world’s classic literature. It includes a portrait of the 17th century Jean de La Fontaine (1621-1695) and 84 full-page illustrations; 248 finely engraved and fully decorative head and tailpiece pictorial designs throughout. Dominique Lobstein, director of the Orsay Library, welcomed the addition to the collection, especially as the museum is planning an exhibition on Gustave Doré in 2014.